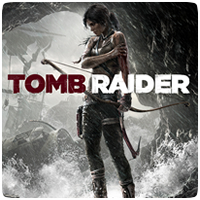 Crystal Dynamics has revealed that Tomb Raider will be getting the next-gen treatment, and will coming to the PS4 in the New Year in the form of Tomb Raider: Definitive Edition. The game has been pulled apart and rebuilt with enhanced visual fidelity, realism, and a new immersive richness to the world. The game will be in native 1080p resolution, and will feature more sophisticated physics modeling thanks to the powerful hardware of the PS4. The in-game cast has also enjoyed an upgrade — characters and enemies alike have been enhanced visually, while in-game destructibility has been given additional refinement to increase the sense that you are leaving a mark on this world. Lara has also received a updated look, with an even more realistic head and face model for her, taking advantage of the increased power of PS4. Lara’s hair now benefits from TressFX technology — her hair strands are independently simulated and interact with environmental effects, as well as react to her every movement, delivering unprecedented, lifelike motion. The game will be releasing in North America on January 28th 2014.